Casinos are currently keen to market their live dealer games. They figure that once players try them out, the new experience will make them prone to come back and play with them often. That’s when a Live Dealer Bonus might come into play. This creates a great opportunity to take advantage of extra bonuses, free spins on live dealer Roulette games and reloads with generous terms too. Of course, if you are new to a casino, you can combine the welcome bonus with live dealer offers. This article covers all of the different types of bonuses available for live dealer casino games. The majority of bonuses you’ll be offered in online casinos require a playthrough requirement and this should be a key consideration when deciding to sign up. This means that you’ll have to wager the total sum of money deposited and the bonus amount a number of times before you can withdraw. This number of times will vary from casino to casino. You deposit $100 into an online casino that offers a 50% deposit bonus. The terms and conditions of the bonus state that the casino has a 20x playthrough requirement. The total amount of the deposit and the bonus is, therefore, $150. This means that you’ll you have to gamble a sum of $3,000 ($150 x 20) before the bonus is cleared and the bonus cash is yours. Bonuses will have an end date, so you have to ensure you clear the bonus within the allotted time frame to claim the payment. Bets you place when playing Roulette with a live dealer will not always contribute fully to clearing a bonus. 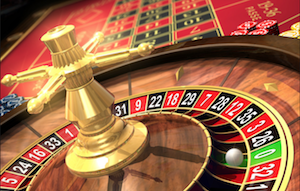 This is due to the fact that Roulette has a lower house edge than many other casino games. In many cases, live dealer roulette stakes will only contribute 25% or less towards the bonus clearance. You’ll be able to find the full details of a live dealer bonus contribution on a casino site’s terms and conditions. I also like to check whether the bonus amount itself can be withdrawn after the playthrough has been met – or whether only your winnings can be taken. It can also pay to make sure there are no hidden terms concerning high-coverage Roulette bets, which can make clearing your bonuses slower. Tip: Generally speaking, a cashable live dealer bonus with a lower playthrough (closer to 20 or 25 than it is to 50) is what you need to look for. Once you understand the general factors which go into choosing an online roulette casino bonus, it is time to look at the specific types of offers. These are the most popular bonuses you’ll find online. They’ll offer you a percentage of your deposit amount up to a maximum amount. For example, you might see a 100% deposit bonus up to $500. This means that the bonus will match any amount of $500 or under, any amount over $500 will see a bonus of exactly $500. You’ll generally see a minimum deposit limit when signing up. This applies to Live Dealer Roulette bonuses as well. Remember to look for weightings and play-through requirements, as simply comparing the ‘headline amount’ does not tell the entire story. You’ll be required to register with a site. However, unlike the majority of other bonus types, you’ll not be required to deposit any money. These casino bonuses will usually be smaller in size than others offered and have a larger playthrough requirement. If you lose the bonus money there’ll be no obligation for you to deposit to the site – although having had a free taste of a site, you might find it’s the site for you. To protect themselves the casinos will usually create an upper limit of wins from these offers, and some will require a deposit and documentation before you can withdraw your winnings. Casinos will often move an extra yard to gain the custom of bigger account holders, offering a high roller initial deposit bonus. These will be subject to a very high minimum deposit – often in the region of $1,000 or more. These are bonuses on offer for existing customers. Some sites will offer these on a certain day of the week/time of the day, some will offer them when using a certain deposit method and some will offer them generally across the board. These will all be subject to a playthrough requirement. With many casinos integrating live dealer games for the first time, you may well find a reload specifically for the streamed games. These are other types of bonuses offered to players, not in the form of cash. Some sites will give you free spins when playing online casino roulette, or a free play at another part of the casino (in many cases the slots). 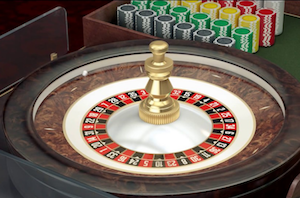 One of the most popular offers for Roulette players are the dedicated tournaments. These might involve a leaderboard where players will compete against others for the most (complimentary) points they achieve in the month. Top players earn a cash prize. Other tournaments might involve the winning percentage at the table within a given time frame. BetOnline – Check out the Leaderboard and Roulette Bonuses & Promotions from one of the best live casinos. Don’t miss their great Welcome Bonuses of up to $3,000 over your first three deposits, $25 Live Dealer Free Play, and 20% Casino Rebate.